To me sundays are not for relaxing at home or just sitting in front of the tv all day. Sundays are all about sunday brunch, and all the cafe’s and restaurants have caught onto that too. But sadly here in little Ilmenau brunch isn’t seen more than waffles and the typical baked goods. So sadly I have to cook up the delicious brunch menu’s available to all you lucky Lahori’s. Here’s a recipe for an open breakfast burrito. I’m not a fan of baked beans, but they can be added on top. It’s so simple. I made it in the oven because it’s so much easier. 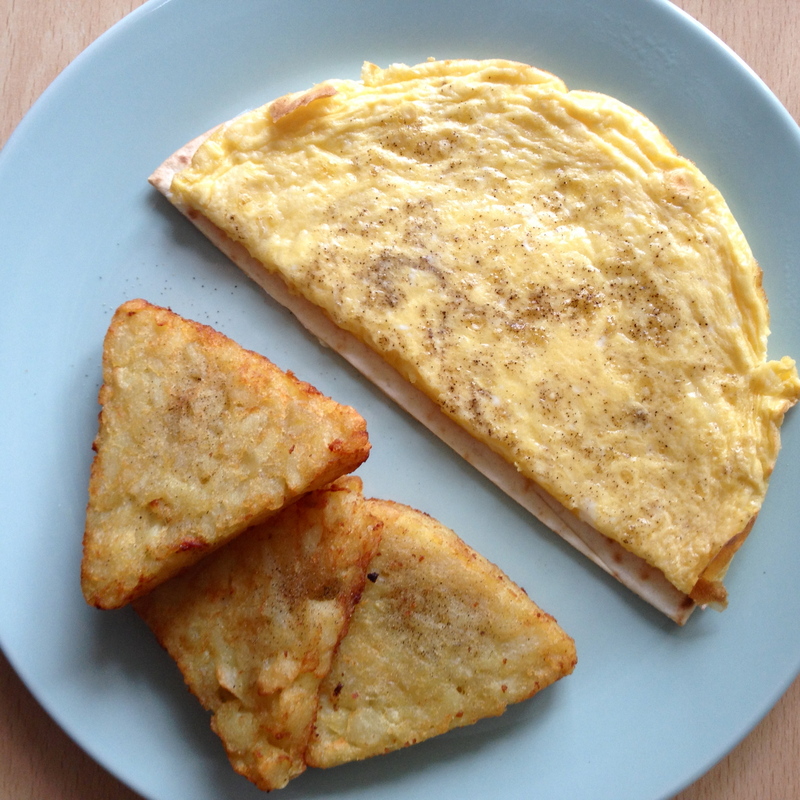 But the layer of tortilla takes a normal omelet to a whole new level, and a little bit of cheese never hurt anyone. This recipe is for 4 people, but if you’re willing to make individual ones you’ll need round pans the same size as the tortillas available. Preheat your oven to 200 C. Grease a 13×9 pyrex dish with the 1 T butter. Cut the tortillas into 1 inch thick strips and evenly line the bottom of the dish with them. In a medium bowl whisk the eggs for 2 minutes, then whisk in the milk and seasoning. Pour the egg mixture over the tortilla strips and sprinkle over the shredded cheese. Bake for about 20 minutes. It depends on your oven, but it should be done by then. But just keep it in the oven till the top starts turning golden brown. A pizza cutter will make your life easier. I just can’t say it enough, or eat enough of it. Waffles are my new love, and sadly pancakes have taken a back seat. I just got a waffle maker and the excitement hasn’t died down yet, so it’s been waffles everyday. When I was looking up recipes for waffles I thought all of them were wrong. I mean, how in the world could so much baking powder be used. But then, as I poured the first round of batter all the way to the top and it started oozing out of edges seconds after I closed the lid, I realized that’s what the baking powder is for!! It makes them fluffy on the inside and crispy on the outside! But that’s just me, because my prior waffle experience has been frozen eggo waffles or cafe’s. 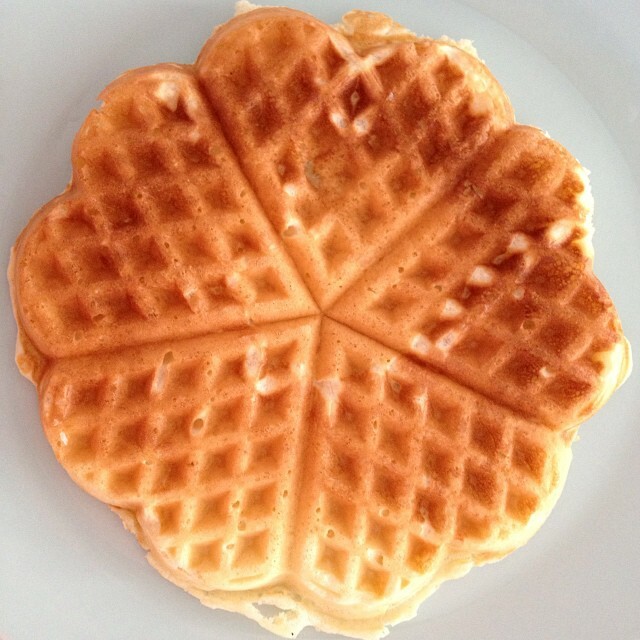 I’m sure you waffle maker owners already know that, but if reading this post will make you go out a buy one (I say everyone should have one! ) then just keep in mind that a little batter goes a long way. Mix all the dry ingredients in a bowl. In a measuring jug beat the eggs for 2 minutes, then gradually add the butter and milk. Add the flour mixture in 3 portions to the milk mixture. It’s easier to have the mix in something that it can be poured out of, but if you don’t have a measuring jug just mix everything a bowl and use a ladle. Once they’re ready, usually it takes 2-3 minutes, devour them with butter and maple syrup! You can add a lot of stuff in the batter as well. A few of my favorites are crushed walnuts, chocolate chips, blueberries and ground cinnamon.